As seen in Wine Industry Insight and Wine Industry Advisor. WINE WOMEN launches its 2018 events schedule with two new series and three new events. The “Advanced Wine Exploration” event series kicks off February 22nd with “Italy: North to South,” hosted by Windee Smith at The Panel in Sonoma. The series will offer wine tastings focused on niche topics of interest to industry professionals. Beyond the February event, two events of the series will offer “The Inside Story of Buying for a Wine Shop,” focused on the decision-making process of a wine shop manager, and “Wine Faults,” a tasting workshop introducing attendees to the olfactory and taste profiles of TCA, VA, brettanomyces and other wine faults. “From Employee to Entrepreneur,” featuring guest speaker and business coach Jay Rooke, at Buena Vista Winery in Sonoma, on March 6th, kicks off the new Career Series. This second new series will focus upon education and skills for women in the wine industry to accelerate their careers. These workshops will include training on topics such as gaining the skills to become a successful entrepreneur, skills assessment and identification, and negotiation strategy and tactics. All series events are open to members and guests. WINE WOMEN’s third event is scheduled for April 17th at Gloria Ferrer Caves & Vineyards. Turning the tables from more typical guest speakers, the event will feature an all-male panel discussion on the gender pay gap, “These Men Want to See You Succeed,” moderated by the former president and CEO of the Network of Executive Women, Joan Toth. Attendees at this February 22nd event will enjoy classic Italian wines: Barolo, Amarone, Brunello, along with equally wonderful whites. The evening’s guided tasting will be led by The Panel co-owner Windee Smith. Tickets include wine education tasting along with cheese and charcuterie. Ticket prices range from $44 to $64 for “Italy: North to South.” For details and to reserve a seat, go to: https://adv-wine-exploration-italy-north-to-south.eventbrite.com/?aff=WIA. Thinking about going out on your own? “From Employee to Entrepreneur,” on March 6th, helps attendees with the transition to business owner. Business Coach Jay Rooke advises guests on how to avoid the pitfalls of entrepreneurship. Learn how to focus your energy and resources on the avenues that move the business forward; manage stress and explore additional perspectives to your business success; and make cleaner decisions and identify your optimal leadership style. Jay Rooke is a member of the Forbes’ Coaches Council, is the Chapter Director for Startup Grind Sonoma, and sits on the Boards of Directors of Rotary and the Boys and Girls Club of Sonoma Valley. As a former attorney who spent most of his career in business development, his business and executive coaching practice provides real-world solutions for growth-oriented businesses. This event is sponsored by the Boisset Collection, a family-owned collection of historic and unique wineries in France and California bound together by a common cause: authentic, terroir-driven wines in harmony with their history, their future and the land and people essential to their existence. With more than twenty historical and prestigious wineries in the world’s preeminent terroirs, including the Côte d’Or, Beaujolais, Rhône Valley, California’s Russian River Valley and the Napa Valley, each house retains its unique history, identity, and style, and all are united in the pursuit of fine wines expressive of their terroir. To learn more about the Boisset Collection, please visit http://www.boissetcollection.com. Ticket prices range from $27 to $54 for “From Employee to Entrepreneur.” For details and to reserve a seat, go to: https://from-employee-to-entrepreneur.eventbrite.com/?aff=WIA. For more information about WINE WOMEN, visit: https://winewomen.net/about/ or call 707.721.1095. Visit WINE WOMEN’s website at WineWomen.net, or their Facebook page, WineWomenOrg, or find them on Twitter @WineWomenOrg. For complete details on their events calendar, visit: WineWomen.net/Events-List. Sonoma, California | October 5, 2017: WINE WOMEN hosts the next installment of its Fall Marketing Series on October 17th at Buena Vista Winery in Sonoma, with guest speaker panelists Shana Bull, Dylan Elliot, Andrew Healy and Megan Steffen, on “Advanced Social Media Marketing Strategy and Tactics.” The series offers three wine marketing events through November, targeted to the experienced wine marketing professional. The final event, “DTC & The Digital Marketing Forecast for 2018,” features guest speaker Paul Mabray. Held at Buena Vista Winery in Sonoma on October 17th from 6 to 8pm, and sponsored by the Boisset Collection, this panel discussion will seek to find out how wineries are using social media marketing effectively. What advanced campaign strategies and tactics are required to engage fans and customers on social channels? Our guest speakers, Shana Bull, Dylan Elliott, Andrew Healy and Megan Steffen, all have extensive experience in winery social media marketing. 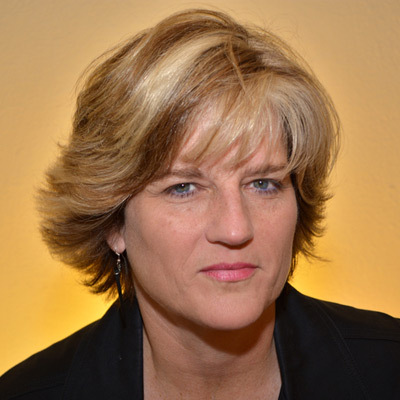 Shana Bull is the owner and Digital Strategist at her own Digital Marketing Strategy Agency in Sonoma County. Shana works with wine, food, technology, consumer brands, marketing agencies and local businesses in Sonoma, Napa, Marin and San Francisco. She was recently named one of North Bay Business Journal’s 40 Under 40 Professionals in the North Bay. At the Boisset Collection, Dylan Elliott serves as Digital Marketing Specialist. He helps lead the forefront of marketing, E-marketing, E-commerce, and new technology solutions and insures they are doing everything possible to communicate and share the Boisset brands’ messages. Andrew Healy is Chief Social Officer at 3 rock marketing where he assists his clients to stay in touch with what’s happening in the Social Media sphere and to help them look great while they’re doing it. A native of Ireland, Andrew has worked in 5 countries and traveled in dozens more. Megan Steffen is the owner of Untapped Media and Burst Photo Booths. Prior to launching her own company, she created the social media position within the company she worked for and ran the digital marketing for 14+ brands. Then she managed 9 wine brands at the next company, owning everything from writing content to managing ads to broadcasting programs and promotions to influencer marketing. The event sponsor is Boisset Collection, a family-owned collection of historic and unique wineries in France and California bound together by a common cause: authentic, terroir-driven wines in harmony with their history, their future and the land and people essential to their existence. With more than twenty historical and prestigious wineries in the world’s preeminent terroirs, including the Côte d’Or, Beaujolais, Rhône Valley, California’s Russian River Valley and the Napa Valley, each house retains its unique history, identity, and style, and all are united in the pursuit of fine wines expressive of their terroir. To learn more about the Boisset Collection, please visit http://www.boissetcollection.com. Held at Raymond Vineyards in St. Helena on November 15th, from noon to 2 pm, the Wine Women Fall Marketing Series wraps up with guest speaker Paul Mabray, Vice President of Avero. The Listen, Learn and Lunch event gazes into the 2018 digital marketing and online DTC wine marketing crystal ball to forecast its direction for the next year. Paul Mabray has been Vice President at Avero since Dec. 2016, where he launched Avero’s social media/reputation management division to power data driven engagement, social CRM and business intelligence for the hospitality industry (restaurants, hotels, and wineries). Prior to his tenure at Avero, Paul served as Group Director of W2O Group and founded VinTank, serving as Chief Strategy Officer, which was the world’s most pervasive software solution for the wine industry and thought leader in all things wine and digital. Open to the public and WINE WOMEN members, those purchasing the 3-event bundled ticket will get 10% off the individual event ticket price. Bundled tickets for 2 of the 3 events also nets 5% off the individual ticket price. Tickets include lecture or panel discussion, wine, appetizers and/or lunch as noted on the individual event descriptions. Seating is limited. Please reserve early. Tickets: https://wine-women-fall-marketing-series.eventbrite.com/?aff=WIA or visit WineWomen.net. For more information about WINE WOMEN, visit: https://winewomen.net/about/ or call 707.721.1095. Visit WINE WOMEN’s website at WineWomen.net, or their Facebook page, WineWomenOrg, or find them on Twitter @WineWomenOrg. For membership information, email Cathi Wastal, Membership Director, at Cathi@WineWomen.net. For complete details on their events calendar, visit: WineWomen.net/Events-List. Sonoma, California | September 11, 2017: WINE WOMEN launches its Fall Marketing Series on September 26th at St. Francis Winery in Santa Rosa, with guest speaker Debra Del Fiorentino, on “The Inside Story of a Wine Competition.” The series offers three wine marketing events through November, targeted to the experienced wine marketing professional. “Advanced Social Media Marketing Strategy & Tactics” includes a panel discussion with guest speakers Shana Bull, Dylan Elliott, Andrew Healy and Megan Steffen. The final event, “DTC & The Digital Marketing Forecast for 2018,” features guest speaker Paul Mabray. Held at St. Francis Winery in Santa Rosa on September 26th from noon to 2 pm, this event features a gourmet, three-course food and wine pairing by Executive Chef Bryan Jones along with featured guest speaker Debra Del Fiorentino, Sommelier, CWP, CSW, and president of Wine Competitions Management & Productions. This Listen, Learn & Lunch event focuses on how to use wine competitions as part of wine marketing strategy and tactics. In addition to judging wine competitions for more than 20 years, Debra is also a vineyard owner and the founder of SPIRITED, a magazine devoted to the beer, wine, spirits and cider industry. Held at Buena Vista Winery in Sonoma on October 17th from 6 to 8pm, and sponsored by Boisset Collection, this panel discussion seeks to find out how wineries are using social media marketing effectively. What advanced campaign strategies and tactics are required to engage fans and customers on social channels? Our guest speakers, Shana Bull, Dylan Elliott, Andrew Healy and Megan Steffen, all have extensive experience in winery social media marketing. Open to the public and WINE WOMEN members, those puchasing the 3-event bundled ticket will get 10% off the individual event ticket price. Bundled tickets for 2 of the 3 events also nets 5% off the individual ticket price. Tickets include lecture or panel discussion, wine, appetizers and/or lunch as noted on the individual event descriptions. Seating is limited. Please reserve early. Tickets: https://wine-women-fall-marketing-series.eventbrite.com/?aff=WIA or visit WineWomen.net. Sonoma, California | June 26, 2017: WINE WOMEN’s next Listen, Learn & Lunch lecture series welcomes Dawn Lyons, Executive Director of BNI SF Bay, to speak on “How to Build Your Network to Open Career Doors” on July 19th at Buena Vista Winery in Sonoma. The noon to 2 p.m. event includes a gourmet box lunch and complimentary glass of wine. It is open to both WINE WOMEN members and the public. How important is having a good network to a career? How do you use your network effectively? Are you known as someone who’s well-connected and can always be counted on to put the right people together in business? This event features Dawn Lyons, Executive Director of BNI SF Bay, as well as Co-Founder and Partner in Asentiv, an international consulting, networking and referral marketing training company. She is also a New York Times’ best-selling contributing author, global keynote speaker, and business coach. Dawn will teach attendees how to network strategically for the greatest career and business growth. She’ll dispel myths about networking, such as the belief you have to be a “people person” to be good at referral marketing. Gain takeaways you can put to use immediately to build a more spectacular network and fantastic life! The best way to ensure referral success is to follow the Golden Rule: treat your referral source the way you want to be treated. If you provide good customer service, people will refer business to you. Practice makes perfect! Practicing networking skills will make you a better networker. Guests, comprising Wine Women members and the public, will have the opportunity to network and share business information as well as listen to Ms. Lyons. Seating is limited. Please reserve early. Tickets: https://build-your-network-with-dawn-lyons.eventbrite.com/, or visit WineWomen.net. For more information or questions, please contact Marketing Director, Marcia Macomber, at Marcia@WineWomen.net. Dawn Lyons is an expert in business networking. She is the owner of 3 franchises of BNI, Business Network International, the world’s largest networking and referral marketing organization as well as the Co-Founder of Asentiv, an international consulting and training company. Both companies allow Dawn to work with entrepreneurs who are looking to gain more business by profitable referral relationships. She is in the BNI Hall of Fame along with only three other people in the history of the company to open 20 chapters in one calendar year. Her local BNI franchise serves Alameda, Contra Costa, Marin, Napa, Santa Clara, Solano, and Sonoma counties. In fact, in 2016, 1,800 BNI SF/Bay members generated over $120 million for each other (or an average of more than $66,000)! She is a contributing author to the New York Times Best Seller “Masters of Sales” and a keynote speaker on networking and referrals. Her latest book, “A Room Full of Referrals®” shows business owners how their behavioral style is affecting their referability! She has been hired to speak to audiences of over 500+ people in Ireland, Sweden, France, Germany, the UK, Australia, Canada, and across the US. For more information about WINE WOMEN, visit: https://winewomen.net/about/ or call 707.996.8740. Visit WINE WOMEN’s website at WineWomen.net, or their Facebook page, WineWomenOrg, or find them on Twitter @WineWomenOrg. For membership information, email Cathi Wastal, Membership Director, at Cathi@WineWomen.net. For complete details on their events calendar, visit: WineWomen.net/Events-List. Napa, California | May 2, 2017: WINE WOMEN launches its Listen, Learn & Lunch lecture series May 15th at Tarla Mediterranean Grill in Napa with guest speaker, Adam Ivor, co-founder and vice president of operations at Gliding Eagle. The noon to 2 p.m. event is free; guests pay for their lunch at Tarla. It is open to both WINE WOMEN members and the public. Mr. Ivor’s presentation, “How to Use Mobile Technology in Today’s Global Wine Business,” will speak to harnessing the power of Silicon Valley to utilize new mobile technology for sales, marketing and distribution data in today’s global wine business. Adam Ivor, co-founder and vice president of operations at Gliding Eagle, was born and raised in the Napa and Sonoma Valleys. He earned his B.S. in Enology from Fresno State University and made wine at Cathedral Ridge Winery in Hood River, Oregon, as a consulting winemaker during several harvests. He received tasting room and sales experience working at Benziger and Imagery Wineries in Sonoma Valley in 2006, and spent roughly a decade as a winemaker at Highway 12 Vineyards & Winery in Sonoma Valley with Michael Sebastiani before earning his MBA in Wine Business from Sonoma State University. Adam co-founded Gliding Eagle Inc. with his partner and CEO, Jack Duan, to help others in the wine industry track every single bottle “from dirt to consumer anywhere in the world.” He remains a winemaker for his two brands, Subterra Wines and Solid Wine Cellars. WINE WOMEN launches its new lunchtime event series with this May 15th event. Each of the monthly “Listen, Learn and Lunch” events, held in both Napa and Sonoma locations, will include an educational component along with the midday meal. Guests, comprising WINE WOMEN members and the public, will have the opportunity to network and share business information along with listening to guest speaker presentations. Seating is limited. Please reserve early. Tickets: https://mobile-tech-at-tarla.eventbrite.com, or visit WineWomen.net. For more information or questions, please contact Events Director, Christine McMillan, at Christine@WineWomen.net. For more information about WINE WOMEN, visit: https://winewomen.net/about/ or call 707.996.8740. Visit WINE WOMEN’s website at WineWomen.net, or their Facebook page, WineWomenOrg, or find them on Twitter @WineWomenOrg. For membership information, email Ellen Reich Luchtel, Membership Director, atEllen@WineWomen.net. For complete details on their events calendar, visit: WineWomen.net/Events-List. Sonoma, California | April 17, 2017: WINE WOMEN seeks North Bay women working in the wine industry to take their Compensation Survey by May 31st. Having just held its first Equal Pay Day event at Napa Valley College’s Performing Arts Center, the professional trade organization developed their survey as an outcome of their speakers’ discussion at the event they held on April 4th. The Gender Pay Gap is projected not to close in the U.S. for at least another two to five generations. WINE WOMEN aims to help reduce the gap through its women-focused events, career training, and exposure of pay disparity practices which hinder women from asking for and receiving fair compensation in the workplace. WINE WOMEN’s two Human Resource forums report that salary inequity is a big issue under regular discussion in their meetings. “Employers and employees often perpetuate the problem of pay inequity without realizing it, unfortunately,” stated Christine L. Mueller, WINE WOMEN president. “By casting light on the issue and outlining what steps can be taken to diminish the inequity, we can begin to close the gap. Our survey is a step in the right direction, as there is no organization or firm that focuses solely on women’s compensation in the wine industry.” Mueller noted that Wine Business Monthly conducts its own annual compensation survey, but its findings are not always available to all employees of wine-related businesses, and it focuses on both men’s and women’s compensation—a good baseline for pay levels by job position. As research for WINE WOMEN’s Equal Pay Day event, the organization conducted a survey on women’s pay and job discrimination in advance of the event. They received numerous reports from women in the wine industry of job and pay discrimination. “During an interview, the hiring manager (male) indicated that he preferred to hire a man for the job because they were ‘more reliable,’” indicated one respondent. Another stated, “I [was told I] wouldn’t receive a bonus because I had not been an employee for a full year. However, …two new male employees who had been there less time than I, were both receiving bonuses. Of course I raised Holy Hell on this and received a generous bonus.” This pattern of disparity and discrimination was reported numerous times in the survey. For more information about WINE WOMEN, visit: https://winewomen.net/about/ or call 707.996.8740. Visit WINE WOMEN’s website at WineWomen.net, or their Facebook page, WineWomenOrg, or find them on Twitter @WineWomenOrg. For membership information, email Ellen Reich Luchtel, Membership Director, at Ellen@WineWomen.net. For complete details on their events calendar, visit: WineWomen.net/Events-List. Napa, California | March 13, 2017: April 4, 2017, marks Women’s Equal Pay Day in the U.S., the day women finally earn the same amount men earned as of December 31, 2016. To celebrate, WINE WOMEN will hold a mini-expo, wine tasting and host keynote speakers at Napa Valley College Performing Arts Center. WINE WOMEN’s Spring Meeting will feature Cathy Corison and Jean Arnold Sessions discussing their careers in the wine business along with their insights on closing the gender pay gap, with moderator Geni Whitehouse. The event is open to the public and is ideal for those who champion equal pay and opportunities for women in the workplace. Cathy Corison, Winemaker/Owner, Corison Winery, St. Helena, has forged a life of wine that has spanned more than three decades, transcended formidable challenges and surpassed her wildest dreams. 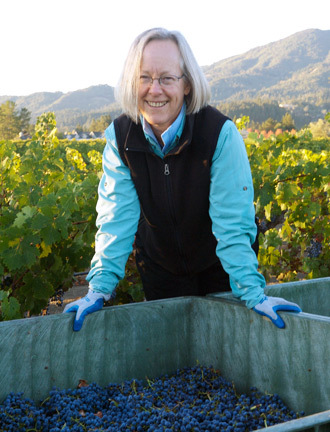 With many years of winemaking for others, including Chappellet Vineyard, Staglin Family Vineyard, York Creek Vineyards and Long Meadow Ranch, Cathy honed her skills which left her eager to express her own winemaking voice. In 1987 she made the first vintage of Corison Cabernet. 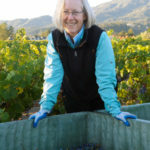 Jean Arnold Sessions, Executive Director, Sonoma County Vintners, stepped into this role a year ago after retiring from Hanzell Vineyards where she had served as president for twelve years. She is also founder of the Jean Arnold Group, a strategic consulting firm, and creator of Women in the Business of Wine, a platform for mentoring women in wine, food and hospitality. Outside of her time at Sonoma County Vintners, she is focused on the leadership of Jean Arnold Group Collective and is the Founder of the Jean Arnold Group Foundation. Geni Whitehouse, CPA, CITP, CSPM, is a self-proclaimed nerd who has been heard around the globe on topics ranging from communication to finance to social media for introverts. 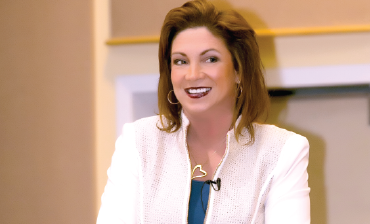 An author, keynote speaker, and accounting industry influencer, Geni believes everyone has something interesting to say and is out to prove it. She spends half of her time working as the Countess of Communication at BDCoCPA.com and the rest of her time writing and speaking on financial and technology topics. A former tech company executive and CPA firm partner, she has been named one of the 25 Most Powerful Women in Accounting and an Industry Top 25 Thought Leader. Sonoma, California | February 9, 2017: WINE WOMEN hosts “How to Win Friends and Sell More Wine,” a full-day workshop by sales trainer Lynda Paulson, CEO of Success Strategies, Inc., as part of its Professional Training Series on Tuesday, February 28th, at Gloria Ferrer Caves & Vineyards, in Sonoma at 8 a.m. The workshop is targeted to wine sales professionals working in tasting rooms or in-home sales, open to both members and non members to attend. Learn how to deal with difficult people with poise and (and turn them around)! Go beyond being a wine “educator”—sell the benefits! The workshop also includes optional pre-class mystery shopping for the tasting room, website or by phone as well as a strategy session with the tasting room manager in order to more fully customize the course material for participants. Advance registration is required at: https://wine-sales-workshop.eventbrite.com. Discounts are available for Wine Women members, Early Bird ticket purchases (before February 13th) and Group ticket purchases, which range from $189 to $324, including lunch. 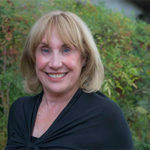 Lynda Paulson, Sales Trainer and Public Speaking Coach, has been a sales training coach for more than thirty years with Success Strategies, Inc., renowned for teaching sales training, public speaking and communication skills to professionals from over 400 wineries and businesses in the U.S. and Europe. Her coaching techniques have been crafted over decades working with local clients such as the Cakebreads, the Mondavis, the Trincheros, the Martinis, the Wentes and management teams at more than 400 local companies. She has also taught training courses at AT&T, American Express, Disney Corporation, Kodak, ING, IBM and many more throughout California, Oregon, Washington, New York, Canada and Europe. WINE WOMEN’s mission is “To champion the advancement of women’s careers in the wine industry by building strong relationships, essential business skills and leadership among members.” At the core of the new 501(c)(3) nonprofit professional organization’s activities are programs that provide the tools, guidance and creativity for members to attain industry prominence by fostering and nurturing talent, providing networking and training opportunities, as well as advocating for better opportunities for women in the wine industry. Sonoma, California | January 17, 2017: WINE WOMEN, welcomes Lynda Paulson, Executive Speaking Coach, Sales Trainer and CEO of Success Strategies, Inc., and Andy Springer, Business Coach and Consultant with Asentiv, as guest speakers at “How to Turn First Impressions into Money in the Bank” as part of its Professional Training Series on Wednesday, February 8th, at Gloria Ferrer Caves & Vineyards, in Sonoma at 6 p.m. The workshop is open to members and the public. “Lynda and Andy both have stellar reputations as highly skillful coaches and trainers in related industries. We’re delighted to offer our members and event guests a sample of their invaluable training. We can’t imagine a better team to launch our Professional Training Series with since they both offer great insights on how to build businesses and careers through targeted communication skills,” stated Christine L. Mueller, Wine Women president. 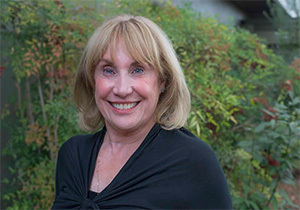 Lynda Paulson, Executive Speaking Coach and Sales Trainer, has been an executive speech coach for more than thirty years with Success Strategies, Inc., renowned for teaching public speaking and communication skills to professionals from over 400 wineries. Her coaching techniques have been crafted over decades working with local clients such as the Cakebreads, the Mondavis, the Trincheros, the Martinis, the Wentes and management teams at more than 400 local companies. She has also taught public speaking at AT&T, American Express, Disney Corporation, Kodak, ING, IBM and many more throughout California, Oregon, Washington, New York, Canada and Europe. Andy Springer, Business Coach and Consultant, launched Bluetail Industries in 2008 with only a borrowed bucket in hand. He landed seven monthly contracts on his first day in business and hasn’t looked back since. What began in desperation and humble beginnings has grown into a busy window and solar panel cleaning service working throughout Sonoma County. Today, Andy enjoys the privilege of working with Asentiv as he trains, coaches and consults with other entrepreneurs and business owners as they work to build amazing businesses and spectacular lives. Napa, California | January 9, 2017: WINE WOMEN, a nonprofit professional trade organization focused on advancing women’s careers in the wine industry by fostering and nurturing talent, providing networking and training opportunities, as well as advocating for better opportunities for women in this industry, will host its women Winemakers’ Forum on Thursday, January 12th, at Chimney Rock Winery in Napa at 4 p.m., with guest speaker Jackie Egidio, Finance Director of Ram’s Gate Winery. The meeting is open to women winemakers, assistant and associate winemakers and enologists in the wine industry. Attendees will have an opportunity to network with other women in their profession in the wine industry and explore ways in which they can expand their collective knowledge and leverage their relationships to enhance their careers. The meeting is open to women members and non-members alike. Advance registration is required. Details and registration: https://winemaking-forum-mtg-chimney-rock.eventbrite.com. Jackie has been the Finance Director for Ram’s Gate Winery in Sonoma for more than three years. Prior to her tenure at Ram’s Gate, she also oversaw finances at Robert Craig Winery and served as Accounting Manager at Edna Valley Vineyard. Jackie also serves as Wine Women’s Forums Director and Acting Treasurer. In the past, she served as CFO for Women for WineSense’s National Board of Directors in addition to participating on two of the Napa-Sonoma chapter’s roundtables, Human Resources and Finance & Accounting. For the Napa-Sonoma Women for WineSense chapter’s Board of Directors, she served as Secretary, then Treasurer, and finally, Professional Development Director. Between these many duties, Jackie has squeezed in studies at the introductory level of the Guild of Sommeliers. The estate was established in 1980 by Hack and Stella Wilson, who brought their love of wine and South African winery architecture to the Napa Valley. Since the Terlato acquisition and involvement, they have built on that foundation and advanced the quality of every aspect of the estate and its wines. They focus on intelligent and sustainable farming and grape growing led by V.P. of Winemaking, Doug Fletcher, along with a soft-handed and thoughtful approach to winemaking led by Winemaker, Elizabeth Vianna. They strive to allow the unique and magnificent Stags Leap District soil and fruit to show themselves in their best light. Through this thoughtful and sustainable approach, the estate has a reputation for consistently crafting unique wines of exceptional quality that show a true sense of place. WINE WOMEN Forums are career development tools for women (and men) in the wine industry. Each forum is profession- or topic-driven, such as finance and accounting, human resources, winemaking, marketing, and other facets of the business. Additional forums will be launching in 2017, such as management and operations. Eligibility to join a forum is established by each forum’s membership. Forums are open to both women and men (unless otherwise stated). Advance registration is required. Santa Rosa, California | January 2, 2017: WINE WOMEN, a new, nonprofit professional trade organization focused on advancing women’s careers in the wine industry by fostering and nurturing talent, providing networking and training opportunities, as well as advocating for better opportunities for women in this industry, welcomes Maria Hunt, storyteller and consultant, and Tom Wark, founder of Wark Communications, as guest speakers to its Marketing Forum meeting on Tuesday, January 10th, at St. Francis Winery, in Santa Rosa at 6 p.m. The meeting is open to women and men serving in marketing professions in the wine industry. “We are very fortunate to have both Maria Hunt and Tom Wark head up this months’ panel. Blogging and storytelling are essential elements to many brand strategies. I’m certain that Tom and Maria’s advice will provide inspiration for those looking for ways to enhance their marketing strategy in 2017,” stated forum chair, Leah Young. Maria is a brand storyteller adept at driving business by inspiring and engaging online audiences. She is an expert in champagne and international sparkling wines, especially emerging regions, lore and pairings. A Chicago native and graduate of Northwestern University’s Medill School of Journalism, Maria has authored “The Bubbly Bar,” a champagne and sparkling wine cocktail recipe book and guide published by Random House in 2009. She has wine certifications from the Court of Master Sommeliers and the Culinary Institute of America at Greystone and has launched e-commerce email programs to an audience of 13 million subscribers, using data, “story-selling” built around products, and inspiring images. Her freelance writing and visual work has appeared in: Forbes.com, St. Regis Magazine, Forbes Travel Guide, Fodor’s Guide, The Daily Sip, Williams-Sonoma Blender blog, Montage Magazine, AARP Magazine, Sunset, Christian Science Monitor, San Francisco Chronicle, Where, Modern Luxury Magazines nationally, Cooking Light, Liquor.com, Saveur, New York Times and Chicago Tribune. Tom began his career as a wine marketer and publicist in 1990. In 1994 he opened his own consultancy, Wark Communications, which serves small and medium sized wineries and wine-related companies with media, communications and marketing services. Wark has been a forceful advocate for wine consumers’ rights as well as the rights of wineries and retailers to legally access a marketplace overrun by special interest and protectionist legislation that barred legitimate reforms to an alcohol distribution system he, and others, see as archaic and unfair. Some of that work of advocating for change in the wine industry has been done through his writing at FERMENTATION: The Daily Wine Blog, now in its thirteenth year. In 2011, FERMENTATION: The Daily Wine Blog won Best Overall Blog and Best Industry/Business Blog at the Wine Blog Awards, which was followed by the award for Best Industry/Business Blog in 2014. Wark is also the founder of the American Wine Consumer Coalition and also the publisher of The Cider Journal. For more than four decades, the wines of St. Francis Winery & Vineyards have reflected the finest mountain and valley vineyards in Sonoma County. Its founder, Joe Martin, fell in love with Sonoma Valley and established St. Francis Vineyard in 1971, planting 22 acres of Chardonnay and the first 60 acres of Merlot in Sonoma Valley. After achieving great success as a grower, Joe opened his own winery in 1979 with his business partner Lloyd Canton. Their first winemaker, Tom Mackey, joined St. Francis in 1983 and was renowned for elevating both the quality and style of Sonoma Merlot as an ultra-premium, stand-alone varietal. He also cultivated an in-depth understanding of every Sonoma appellation. Today, a new generation of winemakers, Katie Madigan and Chris Louton, continues their long tradition of luscious, elegant, fruit-driven wines from Sonoma County grapes. They farm more than 400 acres of Certified Sustainable estate vineyards in Sonoma Valley and Russian River Valley, each with varying compositions of loam, clay and volcanic soils. They also nurture long-term relationships with top Sonoma County grape growers, giving the winery access to some of the region’s most coveted old vines Zinfandel and other varietals from acclaimed vineyards. Kenwood, California | November 29, 2016: WINE WOMEN, a new, nonprofit professional trade organization focused on advancing women’s careers in the wine industry by fostering and nurturing talent, providing networking and training opportunities, as well as advocating for better opportunities for women in this industry, welcomes Ashley Teplin, co-founder of Teplin + Nuss, as guest speaker to its Marketing Forum meeting on Tuesday, December 6th, at Ledson Winery, in Kenwood at 6 p.m. The meeting is open to women and men serving in marketing professions in the wine industry. Attendees will have an opportunity to network with marketing professionals in the wine industry and explore ways in which they can expand their collective knowledge and leverage relationships to enhance their careers. Ashley holds a Bachelor of Arts degree from the University of California at Los Angeles, as well as a culinary arts degree from the Culinary Institute of America in Hyde Park, NY. She also spent two years producing trailers, TV spots and reels for top networks and film production companies like Fox, HBO and Miramax before turning her energy for the past ten years on the world of public relations. In 2012, Ashley Teplin co-founded Teplin + Nuss, a marketing and PR firm, which focuses on traditional public relations and utilizes new media to establish brands to create a lasting awareness and identity. With years of experience and extensive connections in the culinary and wine world, Ashley uses her skills to gain exposure and create virtual and real-world publicity for her diverse clientele. Immersed in the worlds of art, culture, wine and cuisine, she wields her expertise in public relations, media production, photography, social media advisement, culinary and fine arts to forge new networks and strengthen existing relationships among her clients. The Ledson Winery castle was originally intended to be Steve Ledson’s dad’s home, but was converted into the winery’s tasting room. After being poured Ledson’s ’95 Estate Merlot, initial guests asked if there was a wine club they could join. Today, contrary to most wineries, Ledson sells 100% of their wines direct to customers – no middlemen, no brokers – for a thriving wine club. Typically, wineries consider this type of “hand selling” too time consuming and resource intensive, but for Steve Ledson, it’s the personal interaction and feedback that energizes him. He thrives on the enthusiasm his customers have for wine, both his and others, and enjoys creating the opportunities–whether winery events or informal get-togethers–to hear back from his customers. For a small town boy who came of age in an era when your customers were your friends, it’s simply the only way Steve can imagine doing business. Sonoma, California | October 31, 2016: WINE WOMEN, a new, nonprofit professional trade organization focused on advancing women’s careers in the wine industry by fostering and nurturing talent, providing networking and training opportunities, as well as advocating for better opportunities for women in this industry, will launch its women Winemakers’ Forum on Thursday, November 10th, at Passaggio Wines’ production facility, on Eighth Street East in Sonoma at 4 p.m. The meeting is open to women winemakers, assistant and associate winemakers and enologists in the wine industry. At this first meeting, not only will guests get a tour and introduction to host Cindy Cosco’s new production facility, but they’ll also discuss why a focused networking group can be the stepping stone to something greater and/or more fulfilling for their career. They will also explore which winemaker-related topics are of greatest importance to them and determine the parameters for future meetings. Potential topics of future meetings may include confidential exchange of specific winemaking challenges and advice; understanding wine cost accounting; implications of the broad wine market on winemaking decisions; successful preparation and presentation of an ROI analysis for capital purchases; how to identify and successfully engage the gatekeepers as well as securing strategic relationships with suppliers and working on grower relations. “This is the sixth forum I’ve launched this year, and each one is more exciting than the last! We waited until harvest was complete before kicking off this forum since our women winemaking members face unique challenges,” explained Forums Director, Jackie Egidio. She continued, “This first meeting is designed to determine what members’ top priorities are for future meetings, as well as map out the Forum structure and schedule.” In addition, guests will have the opportunity to network with other attendees. The meeting is open to women members and non-members alike. Advance registration is required. Details and registration: Winemakers’ Forum Launch. In 2004, Cindy Cosco left a 15-year law enforcement career to pursue her passion and family tradition of winemaking. Passaggio was born in 2007 when Cindy began making her own wines while working at Crushpad. She was promoted to Winemaker at Crushpad but left later to pursue her dream after the winemaking facility moved to Napa and subsequently Sonoma. 2014 saw the successful opening of her tasting room off the Sonoma Plaza. And just in time for the 2016 harvest, she built her own production facility off Eighth Street East in Sonoma. Her wines are handcrafted with passion, rooted in her heritage, and made as part of her continual journey. WINE WOMEN Forums are career development tools for women (and men) in the wine industry. Each forum is profession- or topic-driven, such as finance and accounting, human resources, winemaking, marketing, and other facets of the business. Additional forums are in the planning stages for 2017, such as management and operations. Eligibility to join a forum is established by each forum’s membership. Forums are open to both women and men (unless otherwise stated). Advance registration is required. Sonoma, California | October 17, 2016: WINE WOMEN, a new, nonprofit professional trade organization focused on advancing women’s careers in the wine industry by fostering and nurturing talent, providing networking and training opportunities, as well as advocating for better opportunities for women in this industry, will launch its second Human Resources Forum on Wednesday, October 26 at Ram’s Gate Winery, in Sonoma at 9:30 a.m. The meeting is open to women and men who are human resources professionals at the manager level and above. Attendees will have an opportunity to network with human resources professionals in the wine industry and explore ways in which they can expand their collective knowledge and leverage their relationships to enhance their careers. At this first meeting, attendees will discuss why a focused networking group can be the stepping stone to something greater and/or more fulfilling for their career. They will also explore which human resources topics are of greatest importance to them and their colleagues as well as determine the parameters for future meetings. Topics for consideration include: technology applications in recruiting and HR operations, attracting, recruiting, hiring and retention strategies, employee engagement, learning and development, becoming an effective business partner, dealing with conflict in the workplace, emerging employment law challenges and much more. The WINE WOMEN Human Resources Forum strives to foster members’ professional growth while providing the opportunity to share skills and knowledge within the group. They will explore interactive case studies, speaking opportunities and more throughout the year. The meeting is open to members and non-members alike. Advance registration is required. Details and registration: Human Resources Forum Launch. Sonoma, California | October 24, 2016: WINE WOMEN, a nonprofit professional trade organization focused on advancing women’s careers in the wine industry by fostering and nurturing talent, providing networking and training opportunities, as well as advocating for better opportunities for women in this industry, welcomes Susan DeMatei, owner of WineGlass Marketing, as guest speaker to its Marketing Forum meeting on Tuesday, November 1st, at Fairwinds Estate Winery, in Calistoga at 6 p.m. The meeting is open to women and men serving in marketing professions in the wine industry. Napa, California | October 10, 2016: WINE WOMEN, a new, nonprofit professional trade organization focused on advancing women’s careers in the wine industry by fostering and nurturing talent, providing networking and training opportunities, as well as advocating for better opportunities for women in this industry, forms partnership with Wine Competitions Management & Productions (WCM&P), offering its members 20% savings in WCM&Ps competitions’ wine entry fees. Based in Santa Rosa, Calif., WCM&P is an independently owned and operated wine, craft beer and spirits competition management company. WCM&P has over 28 years of combined experience in managing competitions and productions using the highest standards within the industry. WCM&P manages and produces nine annual wine competitions, including the Grand Harvest Challenge, International East Meets West Wine Challenge, West Coast Wine Competition, Press Democrat North Coast Wine Challenge and International Women’s Wine Competition. The Grand Harvest Challenge early bird deadline for entries is October 14th. Entrants my register and pay online at enofileonline.com or obtain a paper entry form at winecompetitions.com. Wine Women members may obtain the promotional discount code at https://winewomen.net/for-our-members/#Wine_Competitions. For more information, visit: winecompetitions.com or call 415-640-6337. Napa, California | September 26, 2016: WINE WOMEN, a new, nonprofit professional trade organization focused on advancing women’s careers in the wine industry by fostering and nurturing talent, providing networking and training opportunities, as well as advocating for better opportunities for women in this industry, welcomes Paul Mabray, founder and former Chief Strategy Officer of VinTank, as guest speaker to its Marketing Forum meeting on Tuesday, October 4th, at Stag’s Leap Wine Cellars, in Napa at 4 p.m. The meeting is open to women and men serving in marketing professions in the wine industry. Paul Mabray most recently served as Group Director of W2O Group. He founded VinTank in 2008, the world’s most pervasive software solution for the wine industry and thought leader in all things wine and digital. It provided lead innovation and product development for cutting edge social media monitoring, social media management, and social CRM in the wine industry. The software analyzed over 300 million conversations, processed over 1 million per day, and profiled over 10 million wine social media users. Upwards of 4000 wine brands used the VinTank software, which was acquired in 2015 by W2O Group. Mabray created one of the largest data exchange hubs servicing over 300 companies with approximate reach of 9 million wine consumers. W2O Group recently discontinued use of the software to focus on other channels unrelated to wine. Prior to founding VinTank in 2008, he was CEO, Chief Strategy Officer and SVP of Business Development at Inertia Beverage Group (now WineDirect). Stag’s Leap Wine Cellars, notably known for being the winery that won the Cabernet Sauvignon competition in the 1976 Judgment of Paris, was founded in 1970, and is considered a Napa Valley first-growth estate. Their goal is to create wines of classic beauty — wines with balance, complexity and harmony. Their signature style has often been described as “an iron fist in a velvet glove,” a reference to the artful balance between ripeness and restraint, softness and structure, that yields Napa Valley wines of exceptional beauty and long life. Achieving that style requires a level of attention to detail found only among the world’s best and most dedicated wine producers. Napa, California | Sept. 7, 2016: WINE WOMEN announces the exhibitors for “How to Succeed in the Wine Business (without really trying)!” to be held on Tuesday, September 13th, at Raymond Vineyards in St. Helena, from 4 to 7 p.m. The event features an expo, speaker, networking, appetizers and the wines of the Boisset Collection. The event is open to the public and ideal for anyone interested in launching a career in the wine industry or starting a part-time business in wine. Guest speaker Jean-Charles Boisset will focus his presentation on Boisset’s Wine Ambassador program, a new entrepreneurial platform that allows participants to earn income by marketing a collection of limited-production wines and home accessories that reflect the style and elegance of their historic wine estates. Boisset Ambassadors introduce premium, in-home wine tastings to their home areas. They receive training and support, including a comprehensive business kit to launch their new wine businesses. The event is open to members and non-members alike. Advance registration is required. Details and tickets ($20-$40) are at: https://how-to-succeed-in-wine-business.eventbrite.com. “This event is perfect for women and men looking for a career change or to convert their passion for wine into their own wine business. Wine Women is thrilled to be hosting with the Boisset Collection to bring this opportunity to the community along with many complimentary business services,” stated WINE WOMEN president Christine L. Mueller. “Best of all, because our charter membership discount is only available through September, those who choose to join will receive additional benefits,” Ms. Luchtel explained. Details about membership can be found on their website: WineWomen.net/Join. Boisset is a family-owned collection of historic and unique wineries in France and California bound together by a common cause: authentic, terroir-driven wines in harmony with their history, their future and the land and people essential to their existence. With more than twenty historical and prestigious wineries in the world’s preeminent terroirs, including the Côte d’Or, Beaujolais, Rhône Valley, California’s Russian River Valley and the Napa Valley, each house retains its unique history, identity, and style, and all are united in the pursuit of fine wines expressive of their terroir. To learn more about the Boisset Collection, please visit http://www.boissetcollection.com. Sonoma, California | August 29, 2016: WINE WOMEN, a new, nonprofit professional trade organization focused on advancing women’s careers in the wine industry by fostering and nurturing talent, providing networking and training opportunities, as well as advocating for better opportunities for women in this industry, will launch its Finance Forum on Thursday, September 8th, at WALT Wines, in Sonoma at 9:30 a.m. The meeting is open to women and men, finance and accounting professionals connected to the wine industry with a focus on the CFO or Controller level employee. Attendees will have an opportunity to network with finance and accounting professionals in the wine industry and explore ways in which they can expand their collective knowledge and leverage their relationships to enhance their careers. At this first meeting, attendees will discuss why a focused networking group can be the stepping stone to something greater and/or more fulfilling for their career. They will also explore which finance and accounting topics are of greatest importance to them and their colleagues as well as determine the parameters for future meetings. Topics for consideration include: budgeting and benchmarking, compliance, the finance of M&A, financing growth, measuring ROI and more. The WINE WOMEN Finance Forum strives to foster members’ professional growth while providing the opportunity to share skills within the group. They will explore interactive case studies, speaking opportunities and more throughout the year. “We’re excited to get our Finance Forum underway since many of our members work in this field of the wine industry. Given the array of finance topics, from budgeting to inventory, and nuanced topics such as LIFO, the group will have endless possibilities for focused, valuable meetings,” explained Forums Director, Jackie Egidio. She continued, “This first meeting is designed to determine what are members’ top priorities for future meeting discussions, as well as mapping out when to tackle each issue.” In addition, guests will have the opportunity to network with attendees. The meeting is open to members and non-members alike. Advance registration is required. Details and registration: Finance Forum Launch. August 24, 2016: How to Succeed in the Wine Business on Sept. 13th at Raymond Vyds. Napa, California | August 24, 2016: WINE WOMEN, a new, nonprofit professional trade organization focused on advancing women’s careers in the wine industry by fostering and nurturing talent, providing networking and training opportunities, as well as advocating for better opportunities for women in this industry, will host “How to Succeed in the Wine Business (without really trying)!” on Tuesday, September 13th, at Raymond Vineyards in St. Helena, from 4 to 7 p.m. The event is open to the public and ideal for anyone wishing to launch a career in the wine industry or start a part-time business in wine. Festivities will include a mini-expo with wine career resources. Exhibitors include not only Wine Women and The Boisset Collection but also wine educators, career advisors, coaches, business opportunities and more. Throughout the event guests will enjoy the wines from the Boisset Collection while hearing from Jean-Charles Boisset on creating success in the wine industry, including learning about the Wine Ambassador program for entrepreneurs. The event is ideal for those looking to enter the wine industry as well as those already working in the wine business. The Boisset Wine Ambassador program is also well-suited to individuals looking to supplement their wine careers or augment related careers such as caterers, tour guides, hospitality professionals and event planners. Attendees will have the opportunity to speak with a variety of specialty wine professionals, discussing career options and growth. The event is open to members and non-members alike. Advance registration is required. Details and tickets ($20-$40) at: https://how-to-succeed-in-wine-business.eventbrite.com. Jean-Charles Boisset, Proprietor of the Boisset Collection’s distinguished portfolio of wines in the U.S., will be the featured speaker. As owner of Buena Vista Winery in Sonoma, DeLoach Vineyards in the Russian River Valley, Raymond Vineyards in Napa Valley, Wattle Creek Winery in Ghirardelli Square and the JCB by Jean-Charles Boisset Collection, and its destinations at The Ritz Carlton, San Francisco, as well as Yountville, St. Helena, and the Russian River Valley, as well as Lyeth Estate (Sonoma County) and Lockwood Vineyard (Monterey), Mr. Boisset offers a unique perspective on what it takes to be successful in the wine business. Jean-Charles’ discussion will feature Boisset’s Wine Ambassador program, a new entrepreneurial platform that allows participants to earn income by marketing a collection of limited-production wines and home accessories that reflect the style and elegance of their historic wine estates. Boisset Ambassadors introduce premium, in-home wine tastings to their home areas. They receive training and support, including a comprehensive business kit to launch their new wine businesses. The exhibitors provide the tools attendees need for career growth and business success, including career coaches, business advisors, wine educators, sales trainers and formal educators. Some of the exhibitors include Jay Rooke Coaching, Napa Valley College, Napa Valley Wine Academy, Riedel, Startup Grind Sonoma, Tim Hanni, WISE Academy and more. Sonoma, California | July 14, 2016: WINE WOMEN, a new, nonprofit professional trade organization focused on advancing women’s careers in the wine industry by fostering and nurturing talent, providing networking and training opportunities, as well as advocating for better opportunities for women in this industry, will host “A Wine Women Welcome” on Wednesday, August 3rd, at Gloria Ferrer Caves & Vineyards in Sonoma, at 5:30 p.m. The event is open to women and men in the wine industry as well as those working in related industries. The event is open to members and non-members alike. Advance registration is required. Details and tickets at A Wine Women Welcome. Guests will enjoy the award-winning wines of Gloria Ferrer (over 400 gold medals and thirty outstanding 90+ ratings in the last five years), network with new colleagues, and learn about the new organization! The evening’s festivities include the reception and an introduction to this new nonprofit trade organization, including its member forums. Guests will learn how WINE WOMEN can benefit their careers in the wine industry; find out what members-only benefits may save them $1,000’s per year; get professional networking tips to forge relationships that benefit the bottom line; and support a grassroots organization that advocates to close the gender pay gap in their own lifetime. WINE WOMEN Forums are career development tools for women (and men) in the wine industry. Each forum is profession- or topic-driven, such as finance and accounting, human resources, winemaking, marketing, and other facets of the business. Additional forums are in the planning stages for other peer groups, such as management and operations. Eligibility to join a forum is established by each forum’s membership. Forums are open to both women and men (unless otherwise stated). Ms. Luchtel further explained other membership levels to dovetail with the offerings of Individual Membership: “These days we have large companies with hundreds of employees working at many wineries under their ownership. Our Corporate Membership is geared to take advantage of these corporate structures with volume buying power. In essence, our Corporate Membership offers all the benefits of Individual Membership, plus discounts on the individual membership for multiple employees. From as few as two to twenty or more employees, we offer tiered discount levels to match the corporation’s number of employees who become members in our organization. Corporate Membership also provides the benefits of brand building and exposure by offering opportunities to sponsor programs and events as well as speak directly to our individual members.” Additional membership types are also available. To celebrate its launch, WINE WOMEN is offering a substantial savings on charter membership through September. Details about membership can be found on their website: WineWomen.net/Join. Sonoma, California | July 5, 2016: WINE WOMEN, a new, nonprofit professional trade organization focused on advancing women’s careers in the wine industry by fostering and nurturing talent, providing networking and training opportunities, as well as advocating for better opportunities for women in this industry, will launch its Marketing Forum on Tuesday, July 19th, at Ram’s Gate Winery, 28700 Arnold Drive in Sonoma, at 5:30 p.m. The meeting is open to women and men professionals in a marketing-related profession of the wine industry. The WINE WOMEN Marketing Forum strives to foster members’ professional growth while providing the opportunity to share skills within the group. They will explore interactive case studies, speaking opportunities and more throughout the year. “We’re excited to get our Marketing Forum underway since so many of our members work in this broad field of the wine industry. Given the wide array of specialties, from strategic planning to social media, and the rapidly changing dynamics in wine marketing, the group will have endless possibilities for focused, valuable meetings,” explained Forums Director, Jackie Egidio. She continued, “This first meeting is designed to determine what areas of wine marketing are members’ top priorities for future meeting discussions, as well as mapping out when to tackle each issue for the remainder of the year.” In addition, guests will have the opportunity to network with attendees. The meeting is open to members and non-members alike. Advance registration is required. Details and registration: Marketing Forum Launch. Guests are asked to bring a bottle of wine to share. Light nibbles will be provided.